I love to create various hair accessories for Iris. It doesn’t require much time or effort but still it’s easy to get it to look nice. Another reason for me creating things for her is because she absolutely adores everything I make. It doesn’t really matter what it looks like, Iris will always be my number one fan. And I enjoy that, soon enough she will probably rather be seen in a sack of potatoes than some of my creations. Not so long ago it was almost impossible to get Iris to wear a headband. And for some reason it didn’t stay on her for more than five minutes. She is a very active girl you know and to get the hair out of her face you more or less had to glue the elastics on to her. But it seems like times have changed. The other day Iris was wearing one of her headbands for at least half an hour and that was it for me, the hairband making machine has begun! This hairband is a great for beginners. You don’t need a lot of things or skills and the technique is pretty straight forward. You can mix and match different colours and fabric to get the look that fits with your or your child’s personal preferences. 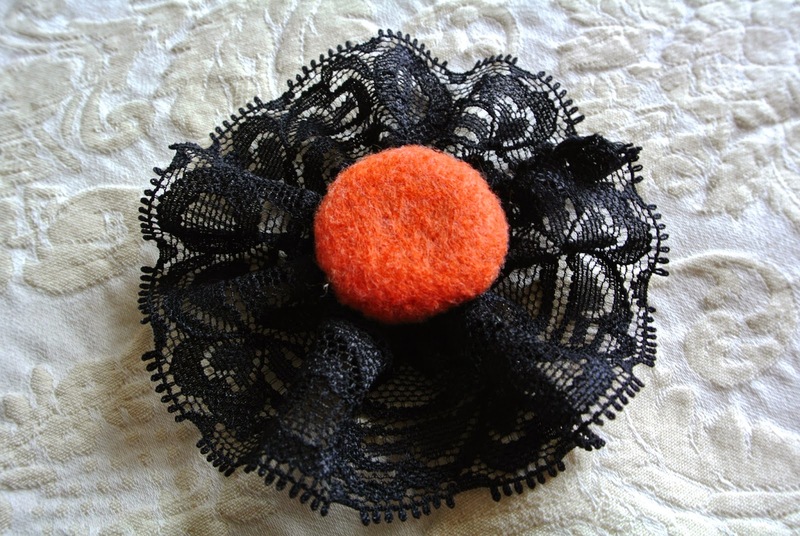 I chose the colours black and orange to go with the Halloween theme this weekend. 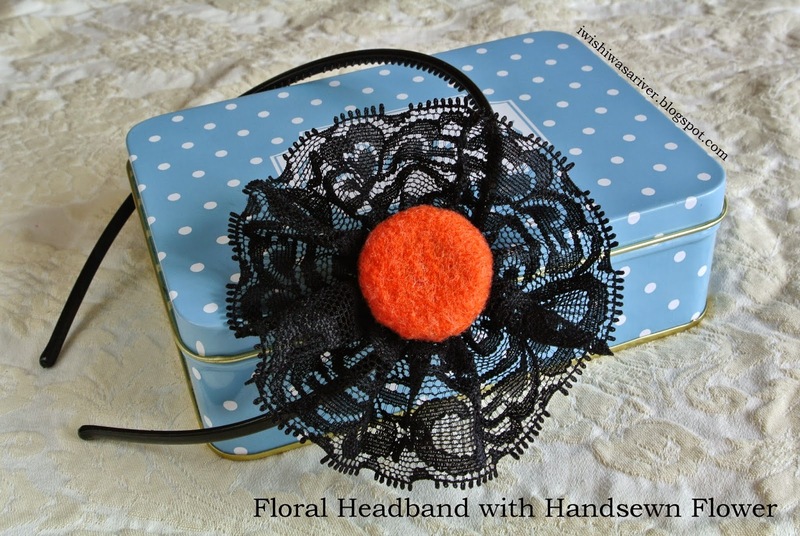 If you are interested in making a floral headband of your own just follow the guide below. It won’t take you more than an hour! 1. 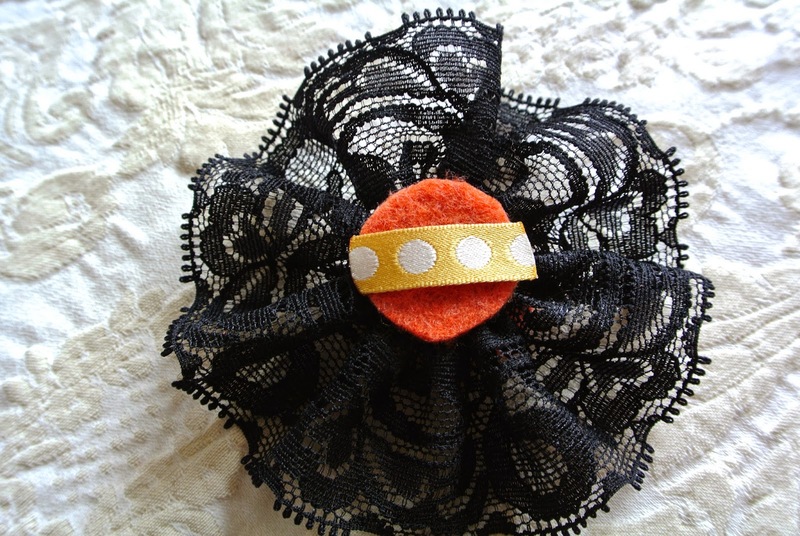 You need: 25 cm ribbon ( I used lace ribbon ) plus a small piece of ribbon or fabric, 1 button, fabric cut into 2 circles, 1 headband and thread. 2. 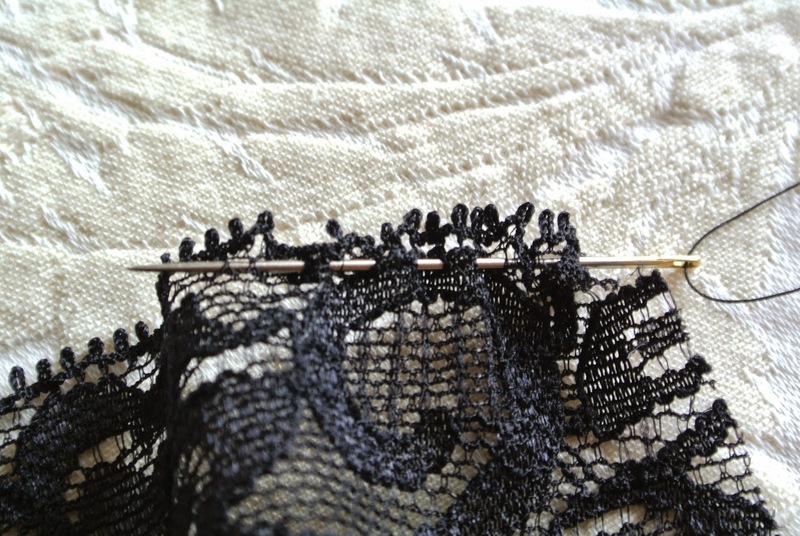 Start by tacking the thread along the border of the ribbon. 3. 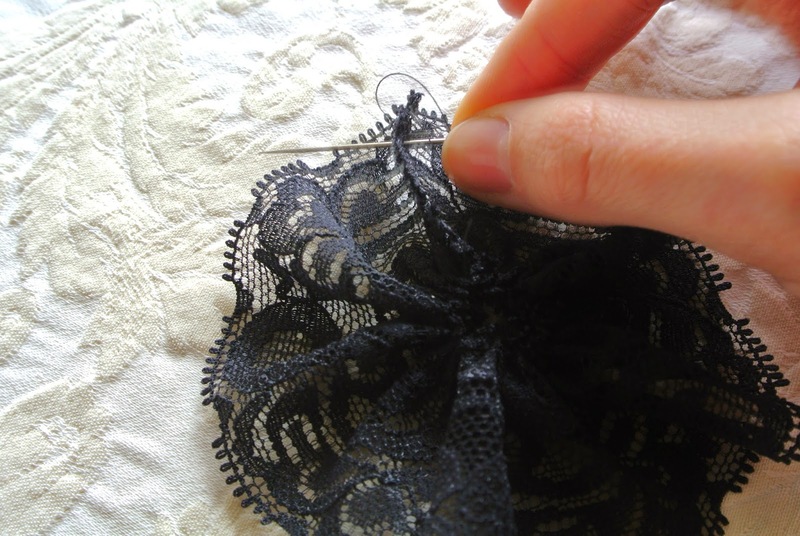 Pull the ends of the thread and create a frill. 4. 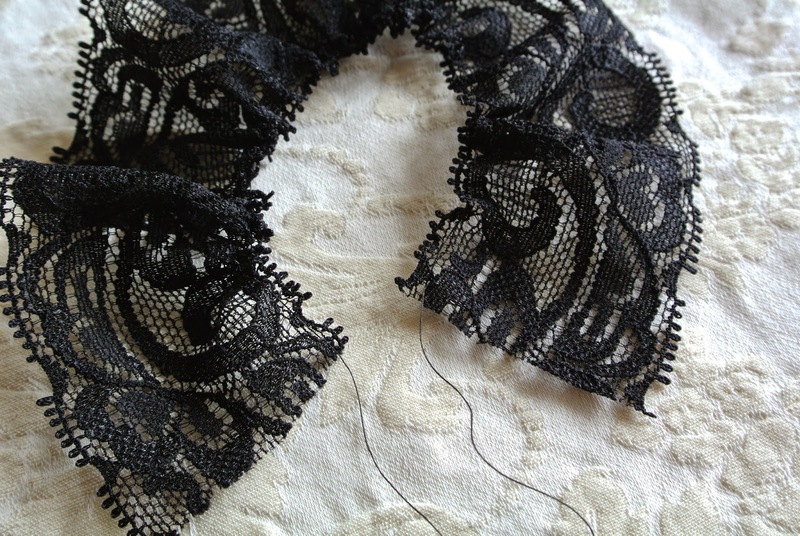 Pull the thread against yourself and the ribbon away from yourself and tie the thread as tight as possible. 5. Attach the short ends of the ribbon to one another. 7. You have two circles made of fabric. One circle should be twice as big as the button and the other circle should be the same size as the button. Now, start with the bigger one. Tack the thread around the border of the fabric. 8. This is what it looks like when the whole border is tacked. 9. 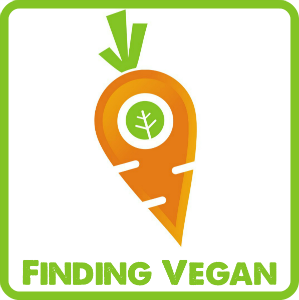 Place the button in the middle of the circle and close it by using the same technique as before. 10. 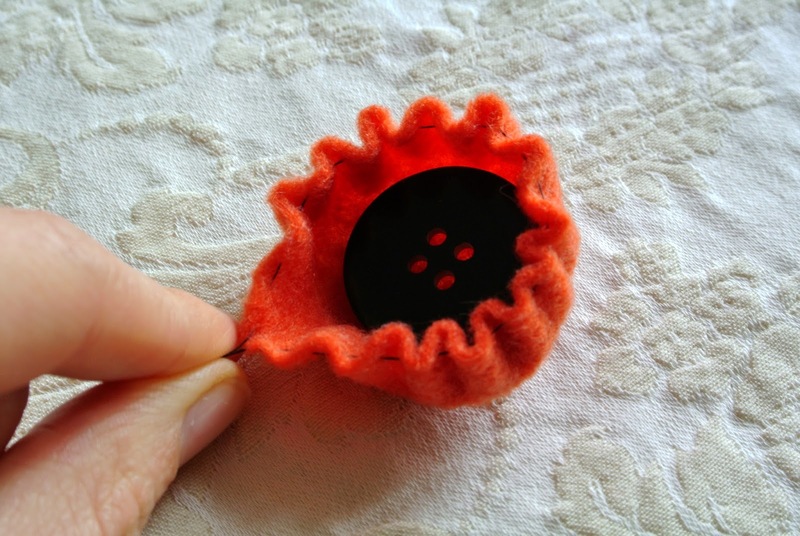 A button dressed in fabric. 12. Place the button in the middle of the flower. 13. Turn it over and place the small circle in the middle and the small piece of ribbon across it. 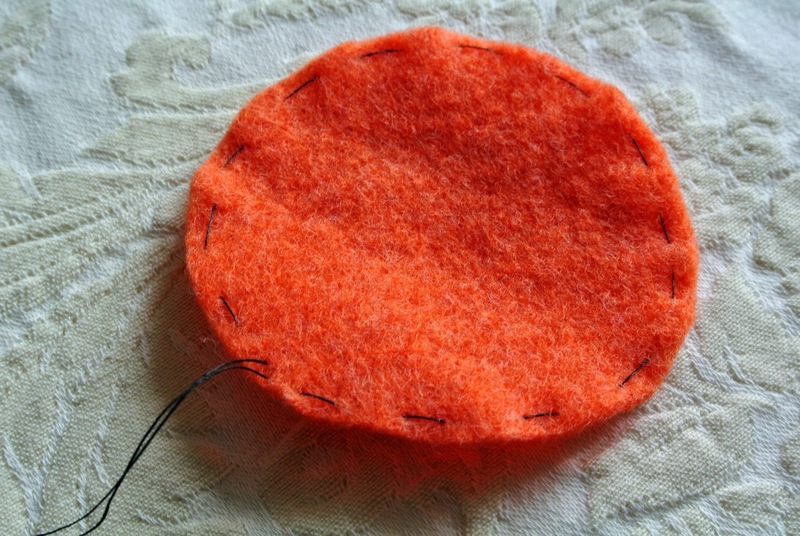 Now you attach the circle to the button on the other side by sewing through the laze. 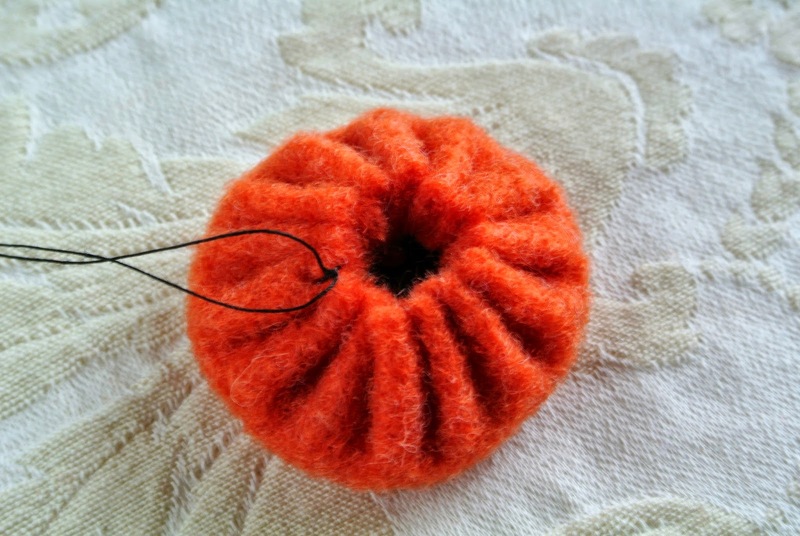 Make sure to sew all around the circle and to pull the thread tight. The small ribbon placed across the circle will be attached during this process. If it doesn’t seem lasting enough just make a few more stitches on the ends of the small ribbon. 14. 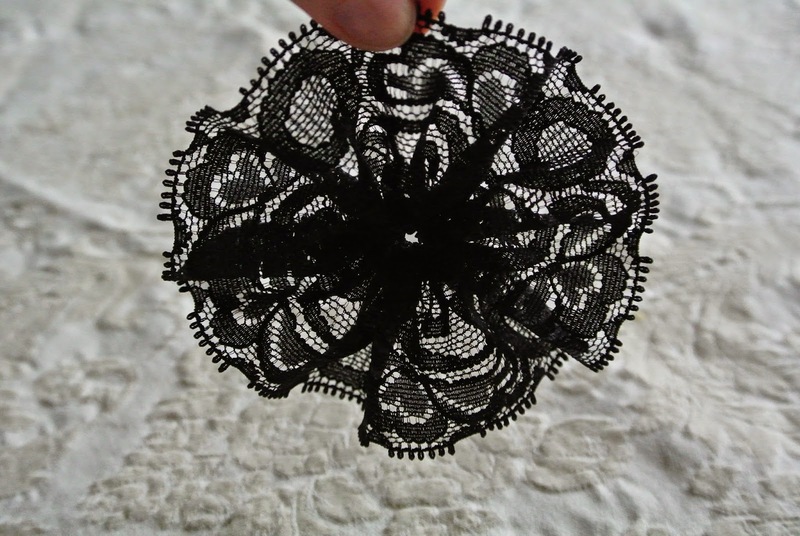 You may also sew the circle and the small ribbon in two steps. 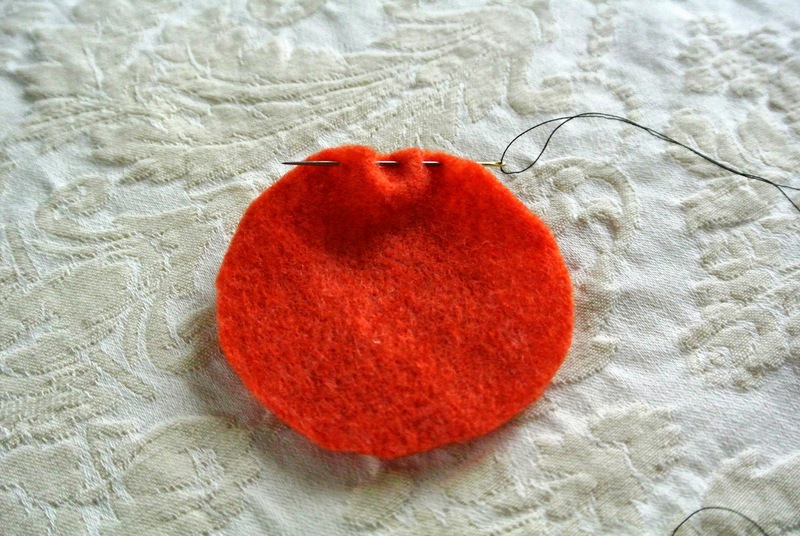 Once the circle is attached it is a bit easier to fasten the ribbon to it. 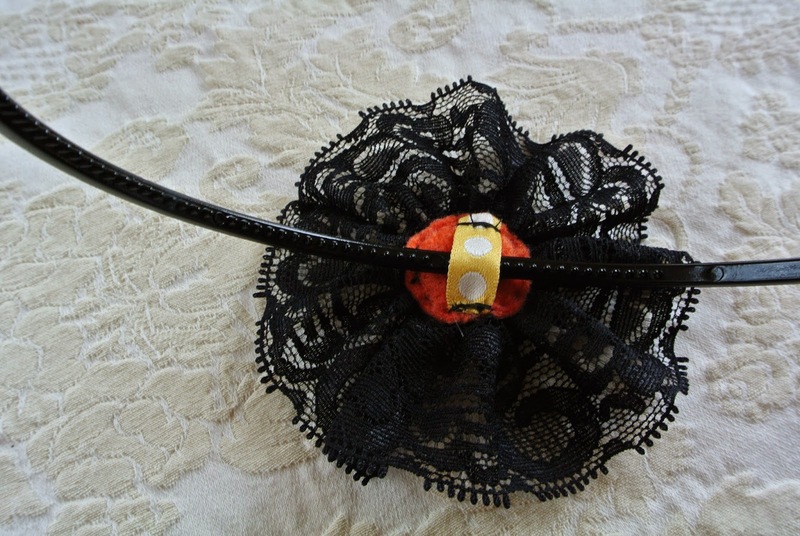 A good idea is to place the headband between the flower and the small ribbon before you sew it. 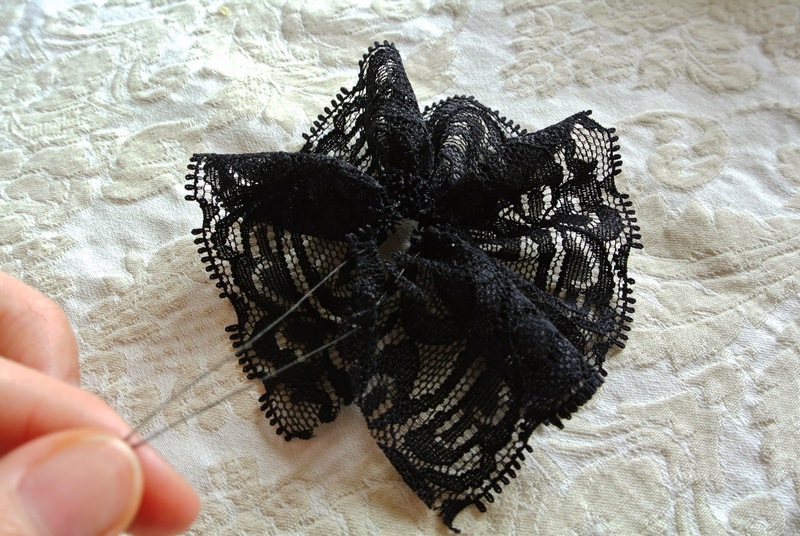 That way you are able to adjust the tightness of the ribbon to the headband. Tada! You are now the owner of a floral headband!